Bask in the grandeur of elegance, combining modern living w/ captivating details. This extraordinary home features gorgeous decorative molding throughout, including Triple Crown, Chair Rail & Picture Frame, plus beautiful hardwood floors. The lavish open interior dazzles w/ a majestic 2 story Foyer & staircase w/ iron rails. A stunning formal Dining Room w/ bay window & trey ceiling. A spacious incomparable 2 story Family Room w/ abundant natural light, fireplace & coffered ceiling featuring an exquisitely sculptured medallion anchoring an opulent remotely adjustable chandelier. A capacious Kitchen w/ granite countertops, stainless steel appliances, tile backsplash, gas cooktop w/ grill, inviting Breakfast Room & vast butlers pantry. Also on the 1st floor is a Living Room, Office, Half Bath & remodeled Mud Room. 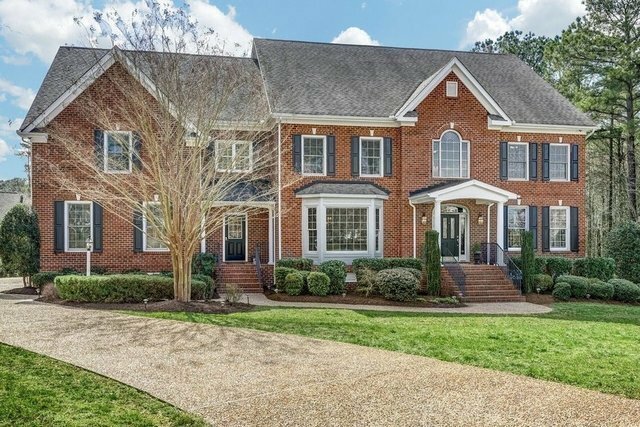 On the 2nd floor is a luxurious Master Suite w/ Sitting Room, box seat bay window, 2 large custom walk in closets & inviting Master Bath w/double vanity & jetted tube. There are also 4 additional Bedrooms & 3 Full Baths. A recently finished huge 3rd floor w/ Half Bath, 3 car Garage, aggregate Driveway, Deck, beautiful landscaping & 1.27 acre lot add the finishing touches.